Where is Stockton on Tees ? It is very close to the large towns of Middlesbrough , Hartlepool and Darlington and easy traveling distance to Newcastle , Sunderland ,Whitby and York. 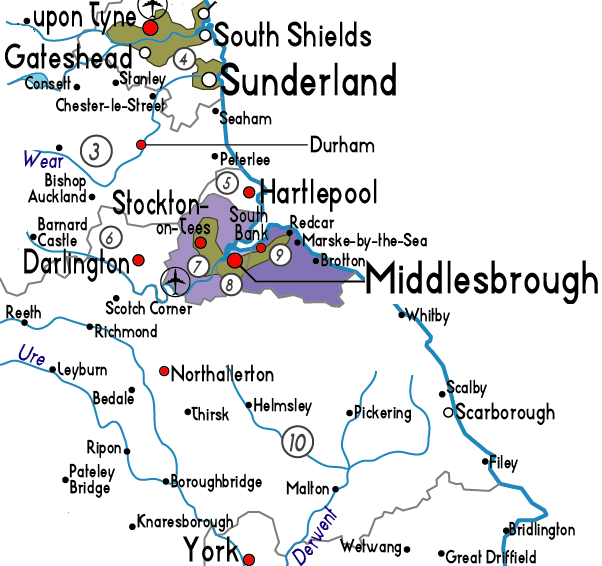 The A19 connects Stockton directly with York in the south and extends to Peterlee and Sunderland, further north. The A19 and the A66 both connect directly to the A1(M) which is the main artery north and south through England connecting London to Edinburgh .